~ by Kamal Dollah on May 18, 2014. 4. The background of the picture – we would like the Merlion to be featured. 5. Please use different colors on the shirts that they are wearing, including track shoes. Draw them wearing cool and trendy Nike sports attires. 8. For e.g. 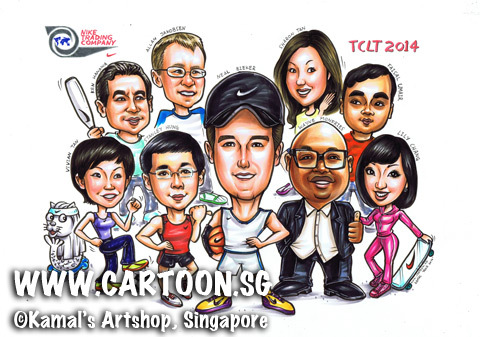 like the Citibank caricature that you did for them, can you please put in – NIKE GLOBAL TRADING PTE LTD - on the top left side of the picture? 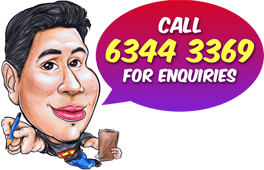 Please note that xxxx face should be slightly bigger as he’s leaving Singapore to move back to the USA.